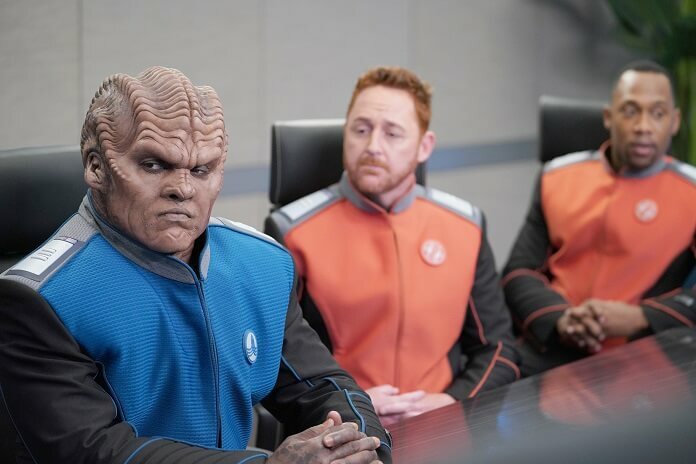 The Orville returns to Fox’s primetime lineup on December 30, 2018 at 8pm ET/PT following the NFL on Fox doubleheader. In support of the show’s season two premiere, Fox has released a batch of photos from episode one along with a brief plot description. 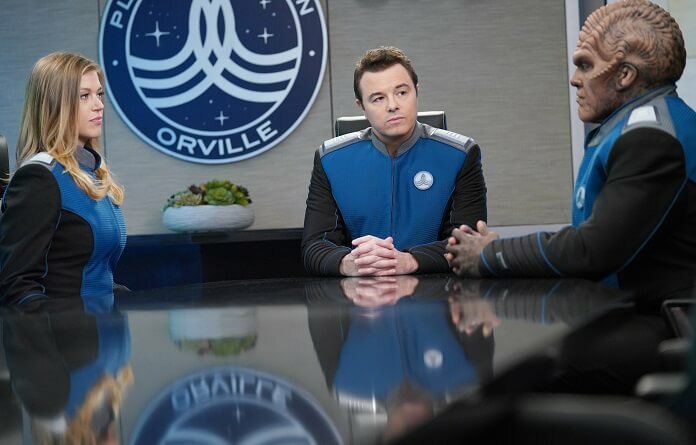 Season two episode one is titled “Ja’loja” and stars Seth MacFarlane as Captain Ed Mercer and Adrianne Palicki as First Officer Kelly Grayson. Penny Johnson Jerald is Dr. Claire Finn, Scott Grimes is Lt. Gordon Malloy, Peter Macon is Lt. Cmdr. 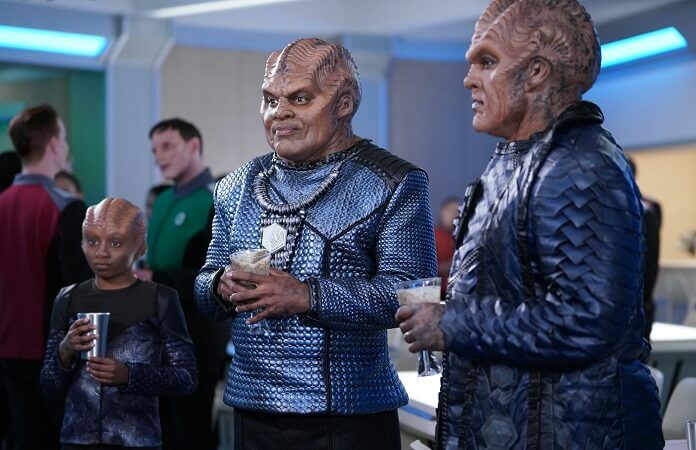 Bortus, Halston Sage is Lt. Alara Kitan, J Lee is Lt. Cmdr. John LaMarr, Mark Jackson is Isaac, Chad L. Coleman is Klyden, and Jessica Szohr plays Talla. Seth MacFarlane created the series and serves as a writer and executive producer. Brannon Braga, David A. Goodman, Jason Clark and Jon Cassar also executive produce. 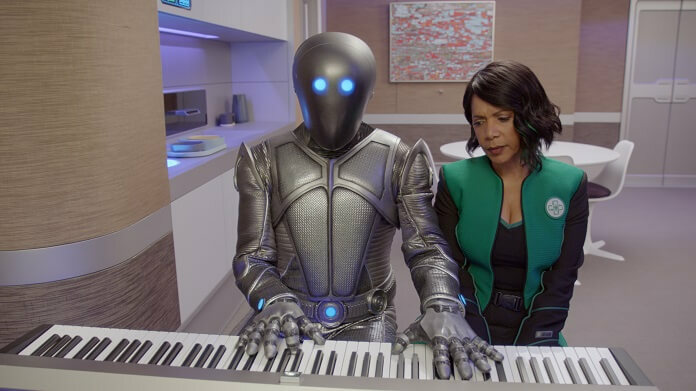 The “Ja’loja” Plot: As The Orville heads towards Moclus for a unique ceremony, Kelly surprises Ed with some news, Gordon asks for John’s help in getting “game” and Claire turns to Isaac for parenting advice. In Season Two, the ship’s crew will meet never-before-seen aliens and face old adversaries, the Krill. They’ll make first contact with a new civilization and revisit the planet Moclus. Ed (MacFarlane) and Kelly’s (Palicki) relationship also will take a new turn – all of which points to a season filled with adventure, mystery, romance and, as always, some poignant social commentary.